Confluence is an exhibition of photographs highlighting the historical, economic and social importance of the Mississippi and Minnesota Rivers, and serves as a call to observe, preserve, and protect our watersheds. These photographs are also, specifically, a polemic about the importance of landscape photography and a meditation on the mythology of the American West, the effects of suburban expansion, the American Dream and the exploitation of natural resources. 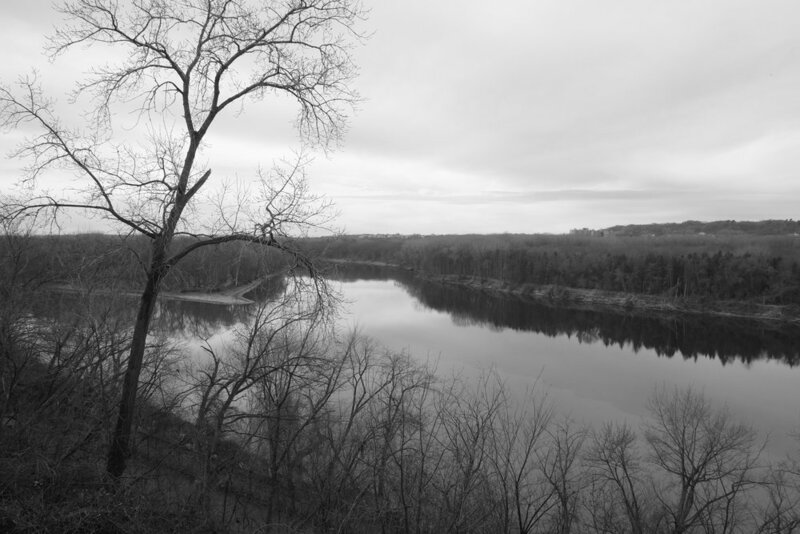 Featured are images of the urban sections of these rivers within the Minneapolis-St. Paul metropolitan area. Each photograph is a portrait of the current state of these rivers and each river’s particular alteration, enhancement, and perceived improvement, in the form of their featured man-made bridges, locks, dams, gates, fences, gutters and drains. The exhibition is part of MMAM’s Mississippi River Series of ongoing exhibitions of artists inspired by the River. Erickson is a Minneapolis photographer and Director of the Foundation for the Exhibition of Photography. He is is a fiscal year 2015 recipient of an Artist Initiative Grant from the Minnesota State Arts Board.